He comes from a gifted, athletic family of racehorses, with trademark ability to accelerate/quicken in races, renowned for producing not only a solid amount of Group One winners but also a host of stakes quality horses. A colt from the first crop of Champion Three-Year-Old and subsequent dual Horse of the Year and Champion Stayer Mongolian Khan (Holy Roman Emperor), recording Group One wins in the NZ Derby, ATC Derby, and Caulfield Cup. 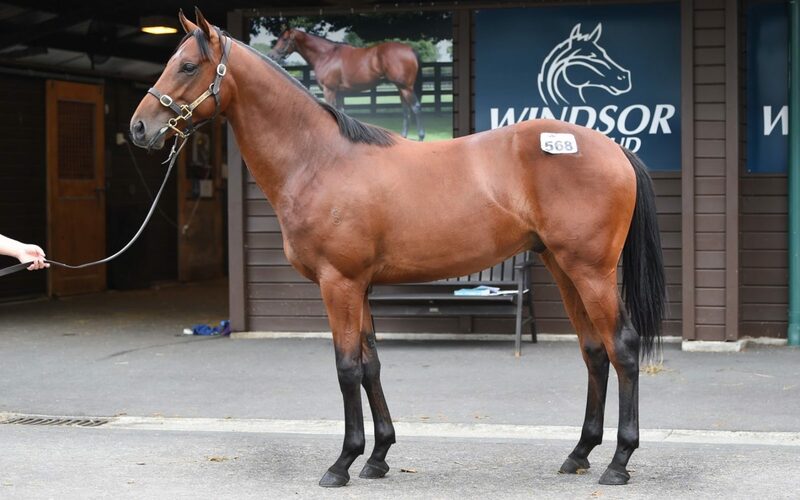 Trained by Te Akau, dam Angelica Hall impressed with a superb turn of foot to win twice over 1200 metres and lightly raced she retired to stud after being stakes placed in the Flying Handicap (Listed, 1400m). Her grand-dam, Greta Hall (Kaapstad), won three stakes and a half-sister to Epsom Handicap (Gr. 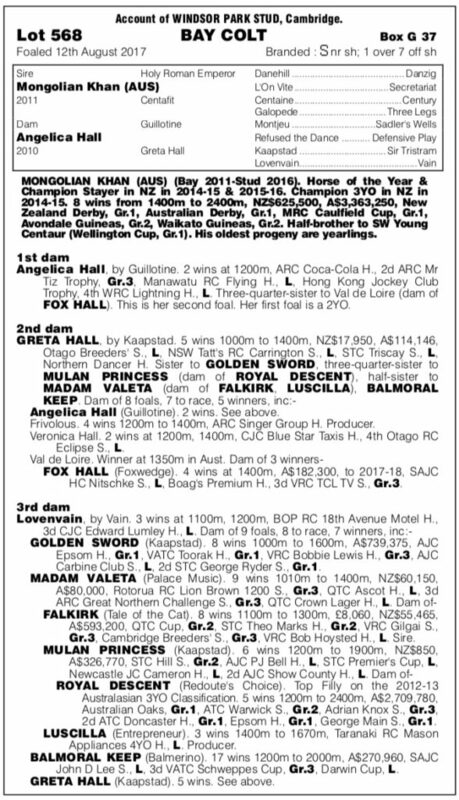 1, 1600m) and Toorak Handicap (Gr. 1, 1600m) winner Golden Sword (Kaapstad) and the dams of Windsor Park stallion Falkirk and Australian Oaks (Gr. 1, 2400m) winner Royal Descent (Danehill). From third dam, broodmare sensation Lovenvain (Vain), high-quality racehorses Balmoral Keep (Balmerino), Falkirk (Tale of the Cat), Golden Sword (Kaapstad), Madam Valeta (Palace Music), and Mulan Princess (Kaapstad), to ensure one of the best families for Windsor Park.